After spending 4 years of college cracking open books and cramming for exams, you may be considering a career path in the legal world. And though law school interests you, the idea of going through the application process may seem daunting. But there are steps you can take to create a smooth transition from finishing college to applying for law school. Here is what you need to do. The question itself may be an obvious first step, but it is arguably the most important part of getting started. Law school is a huge investment of both time and financial resources. It’s not ideal for anyone to end the first year of law school feeling like $50,000 has just been wasted. Do your research and understand what becoming a lawyer may mean for your life. Depending on the area of expertise, it could translate to long restless nights, less time with family, and a substantial amount of reading. On the other hand, it could also mean a stable source of income, a rewarding career serving those in need, and job security. One way of getting a feel for the profession is to call attorneys with a practice in your area and request an informational interview. You can ask them about their time spent working in the legal profession and acquire knowledge about what makes the job desirable. The best way to establish your certainty in wanting to become a lawyer is to take time off after graduating from college. Many of my professors in college who are licensed attorneys promoted the idea of taking a one-year break before going to law school. You can learn more about the legal field during that time by obtaining a related internship or job. Paralegals work closely with attorneys and are exposed to the work they do each day in the firm. You can use this work experience as a foundation for future internships in a law firm. You can also explore your other interests during this break. If you find something else that inspires and drives you in that time, then perhaps there is no need to pursue a law career. You may also find an interest that can complement a legal career, such as an engineering position for intellectual property law or a finance role for corporate law. Make time to broaden your horizons and find what feels like a good fit for you. After deciding that you are ready to embark on a journey of pursuing a legal career, you will need to start making a list of potential schools you may attend. If you already know the discipline of law that interests you, focus on the schools that have related programs and a reputation for teaching in that field. Whether you wish to be a day student or evening student will have an effect on your options. Many schools only offer the ability to be a day student, which can be a hindrance to those who desire more flexibility. At schools that have an evening division, students can enroll in courses on a part-time basis at a reduced tuition cost. Having evening classes can work for many adults who have a job and busy life schedule they wish to maintain while going to school. This, however, means attending law school for an extra year. While compiling your list, you should also keep in mind the bar passing rates at the school. After you finish law school, you will need to take the bar exam to practice law as an attorney. If the school you attend has low passing rates, this may be a reflection on the school’s effectiveness of preparing its students for the exam and may ultimately have a negative impact on your own chances to pass the bar. When you finalize your school list, be aware that it will either become smaller or larger depending on your LSAT results. You may find that your score is too high or too low for certain schools and may need to adjust your list accordingly. Be attentive to public information that is available online in relation to the schools you may apply to and you should be able to arrive at a final list. 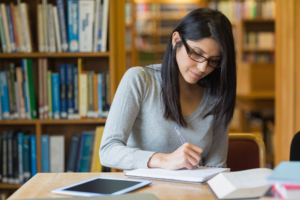 If you performed well in college and have a record clear of delinquencies and criminal activity, then the only thing that may stand in your way of getting into the school you desire is your LSAT score. The LSAT is a required exam for entry into law school that measures one’s logical reasoning, problem solving, analytical, and writing skills. Your score will be placed on a scale where the lowest score is a 120 and the highest score is 180. The most important thing you can do to study for this exam is to look for practice exams and time yourself when taking them. You will want to take as many practice exams as you possibly can to train yourself in solving questions as quickly and efficiently as possible. You do not have unlimited chances to try for the score you want within a year, so you will want to do your best the first time around. Making the choice to attend law school is a huge decision. Do your research, weigh your options, and make sure you’re fully invested in the process. Being as prepared as possible will help lead you to the best decision for you and a successful future in whatever you decide to pursue. Bianca Crockett is a third-year student at Suffolk University Law School. She works as a 3.03 certified student attorney in a family advocacy clinic and is a member of Suffolk Law School’s Legal Innovation and Technology Fellowship. When Bianca is not stressing over exams and projects, she is playing competitive multiplayer video games, traveling to new places, and learning how to code. Advice includes being prepared to be called on in class, going over reading material and assigned cases, creating study outlines, and forgoing a part-time job to fit in more study hours.